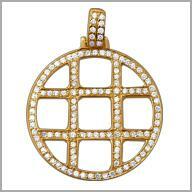 14kt yellow gold pendant with 1.5750 ct of diamonds. This breathtaking design is bursting with vibrant allure! 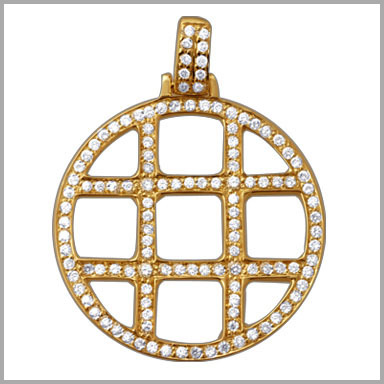 Crafted from polished 14K white gold, this intricate pendant is adorned with 122 full cut round diamonds.The total diamond weight is approximately 1.5750 ct with a color of G-H and SI clarity.